mAdmin built on Bootstrap 3.1 Framework with full responsive technique. 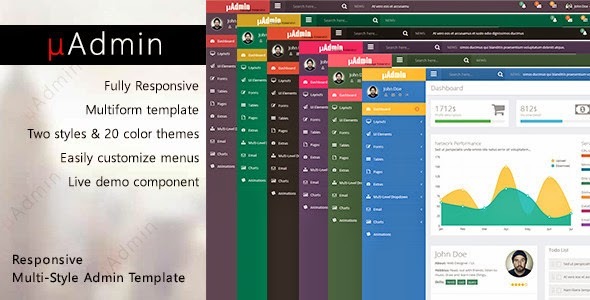 It’s a multiform template with two style and more than 20 color themes, so you can use mAdmin for many types of web applications like custom admin panel, admin dashboard, application backend, etc. Item Reviewed: mAdmin Responsive Multi-Style Admin Template 9 out of 10 based on 10 ratings. 9 user reviews.